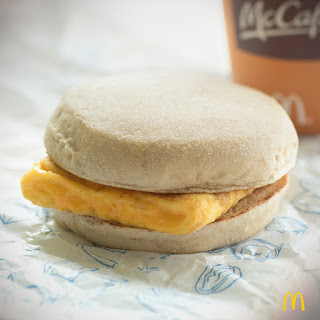 Have you tried McDonald’s Cheesy Eggdesal already? Not yet? Go and try it pronto! I promise you’d love it. You see, I’m a breakfast girl. I really love starting my day right with a nice, yummy breakfast and a hot cup of coffee. It sets my mood right and makes me ready for the busy day ahead. As a working mum, I really need something that’ll fuel up my day. I want something delicious, healthy and filling but still affordable. I also want something familiar, an all-time favorite so I don’t have to worry if I’d like it. Plus points if it’s easily available coz my mornings are always packed. Glad that McDonald’s Cheesy Eggdesal passed with flying colors. McDonald’s Cheesy Eggdesal is only 39php and is available on all MCDonald’s store from 4AM till 10:30AM. You could easily grab one on your way to work (like I always do lately). Go and try it out!! You can also share your breakfast experience on the McDo Facebook page, www.facebook.com/McDo.ph, or tag @McDo_PH on Twitter or Instagram with the hashtags #McDoBreakfast and #CheesyEggdesal.